Can pumpkin seed make your hair grow in thicker? 2 studies show the effects of pumpkin seeds on hair growth. 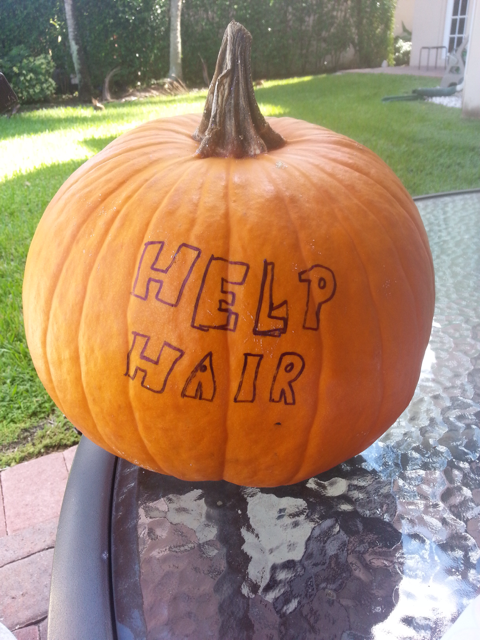 Help Hair Shake contains the right amount of pumpkin seed balanced for proper hair regrowth. Natural DHT blockers can help thinning hair in men and women. Without the side effects of prescription medicine. Help Hair Shake is an All Natural Product and contains no artifical flavors, colors, or sweetners. Help Hair Shake is formulated by a Hair Loss Physican, Dr Larry Shapiro and recommended by Hair Loss physicans and Hair Loss clinics worldwide. We are the only product to have been endorsed by over 100 Hair Transplant doctors and Hair Loss clinics worldwide! Check out our list of Help Hair clinics worldwide at ShakeMD.com. Call for a consultation to a local Help Hair clinic in your area. or ORDER NOW at 1-561-420-2400. Order Help Hair Shake Now! "Pumpkin seed oil (PSO) has been shown to block the action of 5-alpha reductase and to have antiandrogenic effects on rats. This randomized, placebo-controlled, double-blind study was designed to investigate the efficacy and tolerability of PSO for treatment of hair growth in male patients with mild to moderate androgenetic alopecia (AGA). " "To our knowledge, this is the first randomized, double-blind, placebo-controlled trial to investigate the efficacy and tolerability of PSO in men with mild to moderate AGA. This study shows that PSO supplement during 24 weeks has a positive anabolic efect on hair growth and that this is due to the possible efects of 5-reductase inhibition in patients with mild to moderate male pattern hair loss."